Vero Pride 2018 is scheduled for Saturday, June 16th & Sunday, June 17th. VERO BEACH – A year after Vero Beach’s inaugural gay pride event, A1A is back to proudly host Vero Pride 2018. Vero Beach’s second annual gay pride celebration extends the fun over the course of two days: Saturday, June 16th & Sunday, June 17th. 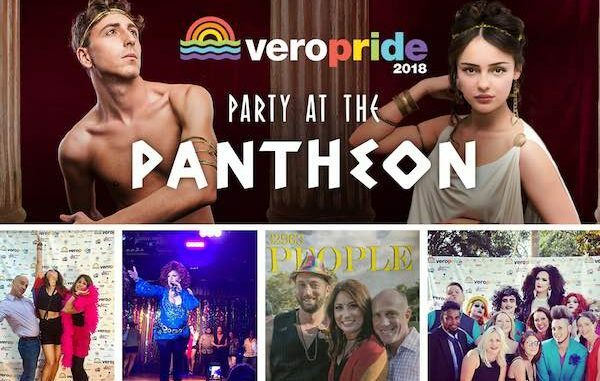 Vero Pride 2018 is sure to step up the fun with themed costumes, food, open bar, music and drag-queen entertainment on their Saturday evening kickoff party. Sunday’s free, family-friendly beach and cabana party at Heaton’s Reef at Kimpton Vero Beach Hotel & Spa will round out an inclusive, event-filled weekend! Additionally, A1A has also added a $1000 scholarship for a college-bound, local high school senior based on an essay submission on what Diversity Means To Them. The winner will be publicly introduced at Vero Pride 2018. The mission of Vero Pride 2018 is to bring together members of the lesbian, gay, bisexual, and transgender community, their friends, families, and allies in celebration and support of the unique spirit and culture of the LGBTQ community in Vero Beach. Tickets can be purchased online now at veropride.com.